Star spinner Ravindra Jadeja maintained pole position in the bowlers' list while India skipper Virat Kohli remained static at fifth place in the batting charts in the latest ICC Test Rankings released today. 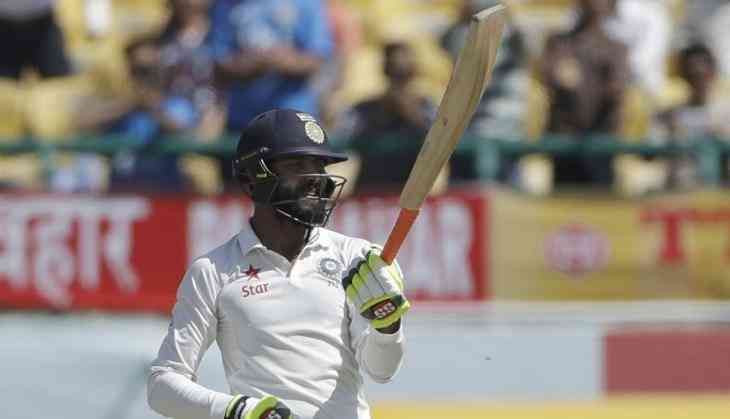 In the batsmen's rankings, Cheteshwar Pujara is the top- ranked Indian at the fourth position while opener Shikhar Dhawan climbed 21 places to be ranked 39th. England all-rounder Ben Stokes moved up 12 places to the joint-25th position in the rankings for batsmen and also gained two places to reach 19th position. His effort also saw him overtake South Africa's Vernon Philander to take the fifth position in the list of all-rounders. In the latest rankings, which also take into account performances in the first Test at Galle, in which India defeated Sri Lanka by 304 runs to take a 1-0 lead in the three-Test series, saw other England players make notable gains too. Jonny Bairstow has gained three slots to reach ninth position, opening batsman Alastair Cook has moved up three places to 12th position. James Anderson (up one place to joint-third) and Moeen Ali (up one place to 18th) have made the upward movement.